To celebrate Mental Health Week 2017, Homewood Health Centre proudly presents a special event to raise funds for the vital research that the Homewood Research Institute (HRI) is conducting to address the mounting crisis of mental illness related to Post-Traumatic Stress Disorder (PTSD). 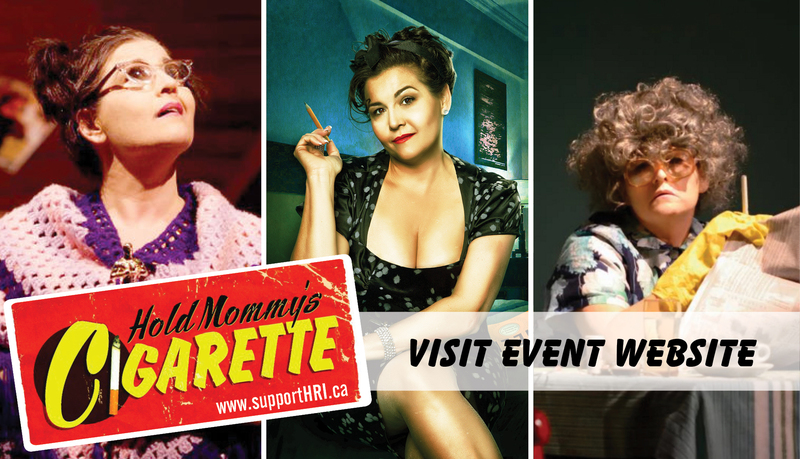 On May 1, please join us for an unforgettable one-night-only showing of Hold Mommy’s Cigarette, a hilarious, heartbreaking and ultimately uplifting one-woman play by acclaimed actor and comedienne, Shelley Marshall. Shelley takes audiences on a raucous adventure through her real-life experience growing up in a dysfunctional environment fraught with depression, trauma and suicide, and her remarkable journey toward a life of purpose and fulfillment. An unrelenting mental health advocate, Shelley gives hope to audiences and inspires positive change everywhere she goes. This performance takes place at Guelph’s beautiful downtown venue, River Run Centre, and will raise funds for the Shelley Marshall Scholarship, a fund named in Shelley’s honour that will support applied research aimed at improving the lives of people living with PTSD. Tickets are available now through the River Run Centre Box Office. For further information, including show time, and details about a pre-show fundraiser, HRI’s PTSD research team, sponsorship opportunities, and a profile of our Honorary Chair, Andy MacDonald, General Manager of Emergency Services at the City of Guelph, please visit the event website, www.supportHRI.ca. We hope you will join us for this enlightening evening in downtown Guelph, as we work toward improvements in mental health practice and to improve care for all Canadians. This performance contains adult content. This entry was posted on March 9, 2017 by Heather Froome.